Amazon's picking Canada for its coveted second headquarters is more than just wishful thinking. Handicapping the Amazon sweepstakes has become something of a cottage industry in the last few weeks. Predictions of which city will land the company's coveted second headquarters cite everything from the bright lights of big cities like New York and Boston to Denver's crisp Rocky Mountain air to Chicago's spot as a hurricane-free haven. The vestiges of our latent national inferiority complex might trigger a belief that the golden goose of corporate relocations couldn't possibly land here. Before last November that may well have been true, but no longer. 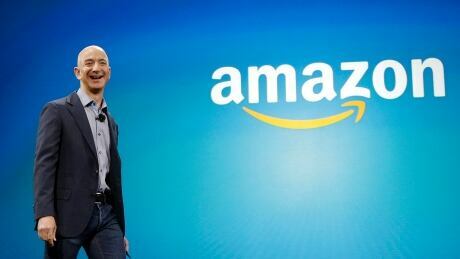 Now, the idea of Amazon choosing Canada isn't just possible, it's probable. "If Trump wasn't president I don't think we'd be having quite this conversation," said Richard Florida, an urban studies theorist at the University of Toronto. "Trump has scared the bejesus out of everyone." Every city with at least a puncher's chance of landing Amazon can check off a few boxes on the company's wish list. More than a million people? No problem. International airport and quick routes out of town? Done and done. Tax breaks? We'll see what we can do. Affordable housing? Well, maybe not, but did we mention our beautiful waterfront and walkable streets? Of all its criteria, the ability to draw a top-notch workforce may be Amazon's lone non-negotiable requirement. To fill the 50,000 jobs at an eventual 8.1-million square foot headquarters, Amazon needs a city that can provide home-grown talent, as well as appeal to a class of global programming mavens who can choose where to live. For technology companies preoccupied with luring the best and brightest from around the world, the Trump administration's America First economic strategy is more than a little troubling. At the core of the worries is a White House crackdown on the H-1B visa program — the doorway into the U.S. for thousands of software engineers and other highly skilled foreign workers. Called the "genius visa" and America's secret economic weapon, H-1B is credited with supplying the programming horsepower that built Silicon Valley into what it is today. At Facebook, for instance, foreign guest workers make up 15 per cent of the staff. Antipathy towards that visa from the Trump administration, combined with its attempted Muslim ban and a potential Mexico border wall, is unsettling not only for the tech industry, but also for international workers who may now be second-guessing the wisdom of relocating to a country that's no longer as welcoming. Enter Canada, which has no such baggage. Indeed, the equivalent visa program here is actually being fast-tracked in the hopes of poaching the exact workers who not long ago would have automatically landed in Silicon Valley. The operative question now is whether a more inclusive immigration policy is enough to convince Amazon founder Jeff Bezos to embrace the North. One line of thinking suggests picking a non-U.S. city would be foolish, given the many ways a vengeful Trump administration might find to punish Amazon. At the same time, who better to weather that storm than Bezos, the world's richest or second richest person, depending on the day? Beyond the potential satisfaction of poking a constant antagonist with a sharp stick — picking Canada would be a blow to Trump's jobs agenda — Bezos would also become a standard bearer for his industry's opposition to White House immigration policies. A wild card in all of this is the potential for a city to offer a package of subsidies too sweet for Amazon to turn down. The company's long-standing hunger for such incentives could well disqualify Canadian contenders, which aren't expected to play that game as hard as their American counterparts. Whether all the 50-plus North American cities that meet Amazon's population qualifications actually have a legitimate chance of landing the bid is another question. Florida, for one, thinks the answer is no. "The way it's typically done is the company knows exactly where it's going to locate and then creates this fictitious competition," he said. "There are no more than a half-dozen, maybe 10 places, and I think Amazon knows, pretty much, and I think it even has the sites picked out." Unfortunately for Calgary, Edmonton, Winnipeg and Ottawa, being a mid-sized city may already be a disqualifying factor. Similarly, a lack of geographic diversity from Amazon's Seattle headquarters could spell a premature end to Vancouver's chances. As for Montreal, Amazon will need to consider whether its economy is vibrant enough to find jobs for the non-Amazon half of the tens of thousands of dual-income tech families that would land there. While these cities can still mount compelling arguments, it's difficult to see how any could rival Toronto, which has the population and tech talent to stack up with any of the top U.S. contenders. Still, the premise that Amazon already knows where it wants to go isn't accepted by everyone. Mary Moran, the head of Calgary Economic Development, which is spearheading the city's headquarters bid, believes her city has as good a chance as any and better than most. And even if the outcome is hypothetically a foregone conclusion, she still sees value in bidding. "Let's just say it's pre-determined," said Moran. "The reality is that we couldn't ask for a better PR campaign." Regardless of Amazon's choice, she believes that being mentioned in such a high-profile conversation will spur other tech companies to add Calgary to their own short lists. It's a sentiment echoed by mayors across the country, who think Amazon won't be the last big company to come knocking. "Trump won't last forever," said Florida. "Sooner or later he'll be gone, in four to eight years max, but it's time for Canadian cities to really belly up and take advantage. The good thing is, they are."